Cobden Farm 4 Star (Breakfast Award) Bed and Breakfast holiday accommodation is an ideal get-away-from-it-all location for visitors or business people but still handy for all road, rail and air routes. There is a warm welcome for guests to our farmhouse B&B on our working, family farm, on the hillside overlooking the beautiful Sabden valley and Pendle Hill, in the Forest of Bowland AONB. 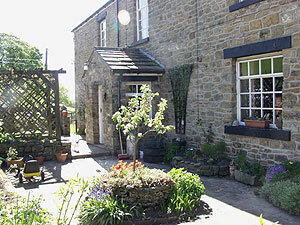 We are within five miles of Clitheroe, Burnley and Pendle. We have two en suite rooms designed for visitors or business people. 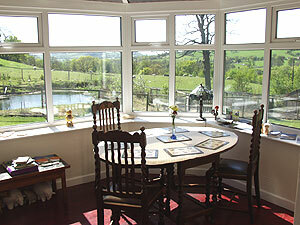 Both double and twin-bedded rooms are spacious with countryside views. Each room has a flatscreen TV with Freeview, DVD player, DAB clock radio. There are Fair Trade refreshments, herbal and fruit teas, fresh milk, a mini fridge, hairdryer, magazines and free wi-fi connection. A laundry and ironing service is available and also drying facilities. Our home cooked breakfast, with its extensive menu using local produce, is served in the conservatory - and includes glorious views across Sabden Valley to Pendle Hill. 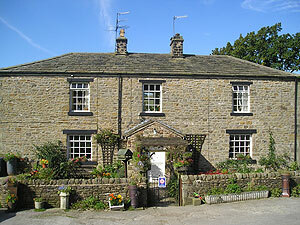 We are less than a mile – easy walking or driving distance - from Sabden village with its two public houses, the Pendle Antique Centre, Sabden bowling green, local shops and churches. Clitheroe with its ancient castle keep and historic Whalley Abbey are less than five miles away. 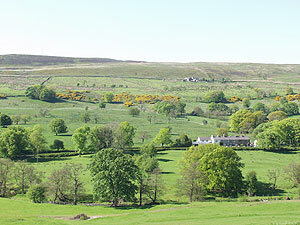 Our area is wonderful for walking with many public footpaths, and we are just over the hill from the Pendle Ski Centre. There are three golf clubs within five miles - Whalley, Clitheroe and Mitton Fold. Fishing and horse riding is nearby. We want our countryside to stay beautiful and we received a Gold Award from the Green Tourism Business Scheme in recognition of our commitment to wildlife conservation and sustainable tourism. We are away from main roads but with easy access to the A59 and M5 / M66 / M6 / M55.